Google’s very own Asus-made Nexus 7 tablet is itching to hit the store in a few countries next week and while you have to wait for the tablet to get into your hands, ASUS has unveiled that it is ready with some back covers to protect the Nexus 7. Heading over to Facebook, ASUS posted the picture of the protective covers that would be available in multiple covers for the Nexus 7 on arrival. 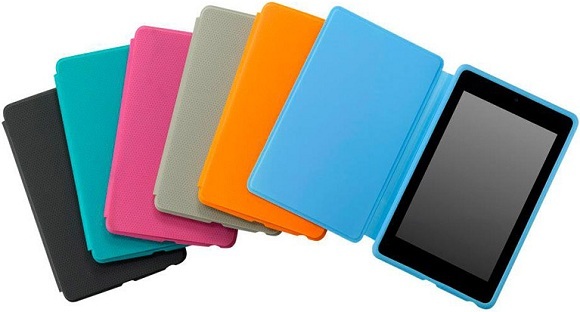 We love the variety of colours that the Nexus 7 could be covered in which includes Light grey, Magenta, (Nokia Lumia) Cyan, Orange and Black colour forms. The variety is varied depending on what your favourite colour is, but then we are now missing the Android ‘Green’ which we feel Asus has forgotten to include. We would have loved to see that on the Nexus 7. Anyways, we expect the covers to arrive with the Nexus 7 but there is no official information on the availability or the how much the covers would cost. The Nexus 7 is expected to arrive in India only by October and that is a lot of time until we get to go hands-on over the pure-Android tablet. But we hope that Google and Asus bring the Nexus 7 love to us a little sooner.